80/20 products are aesthetically appealing and don’t peel, chip, fade or rust. You won’t spend unnecessary time maintaining projects built with 80/20; it’s easy to clean with closed-sided options available to prohibit dust and debris build up. 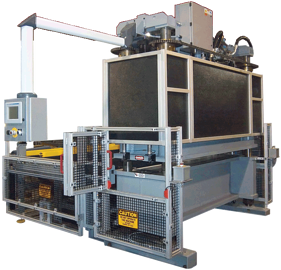 All with a decreased total cost of ownership compared to options such as steel or prefabricated units. These other alternatives have high hidden and long-term costs. Steel requires a very skilled labor force and does not accommodate change. It requires a lot of maintenance and runs the risk of losing structural integrity with modification or repairs. Another drawback is implementation; the design-order-ship-build cycle is lengthy. Prefabricated options are cookie-cutter and not tailored to your process. They are not as sturdy, dependable, or as strong as custom options. They don’t last as long, can’t be reused, and aren’t reconfigurable. Most often something off-the-shelf can’t be integrated into your existing application. Time and time again, 80/20 gets the call to come out and replace shoddy prefabricated or steel products with its modern, adaptable and strong profiles, panels and parts. 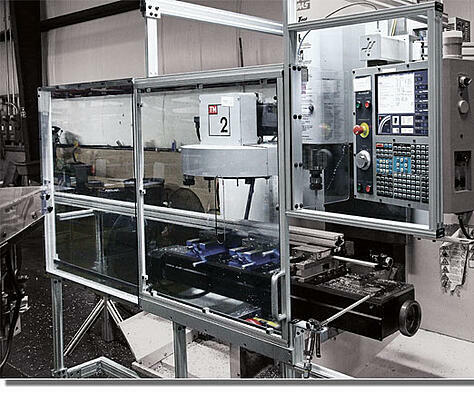 Avoid lost time and money; talk to a design technician today about your 80/20 industrial manufacturing solution. Learn a bit more about how Knotts can assist you with an 80/20 solution or contact our office for more information 908-464-4800 or 80/20@knottsco.com.